***NEW ADDITION! 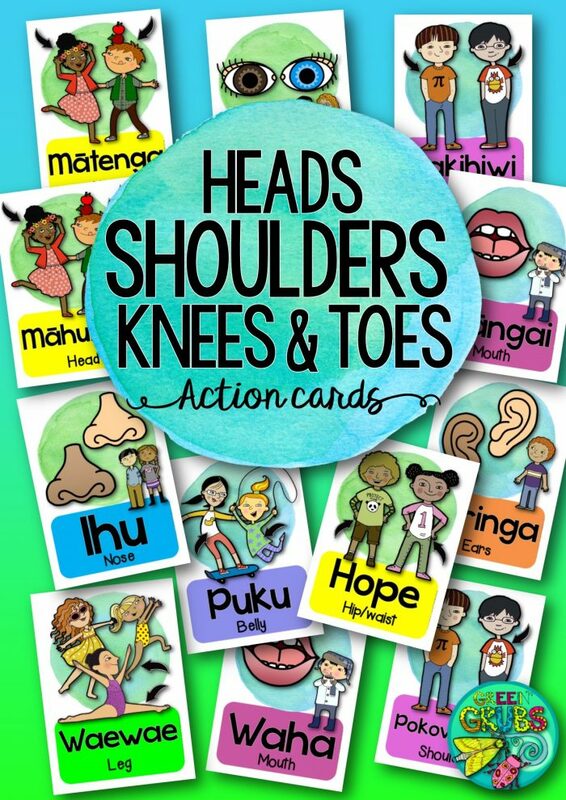 Get your class moving with this bilingual ‘Heads, Shoulders, Knees & Toes’ action card set. Read on down the post to learn how my Mum uses these action card style resources with her students. Click here to download your FREE ‘Heads, Shoulders, Knees & Toes’ set. Mum prints, laminates and joins the cards in the corner with a jump ring, then flips the cards over as the song progresses to support her special needs learners. 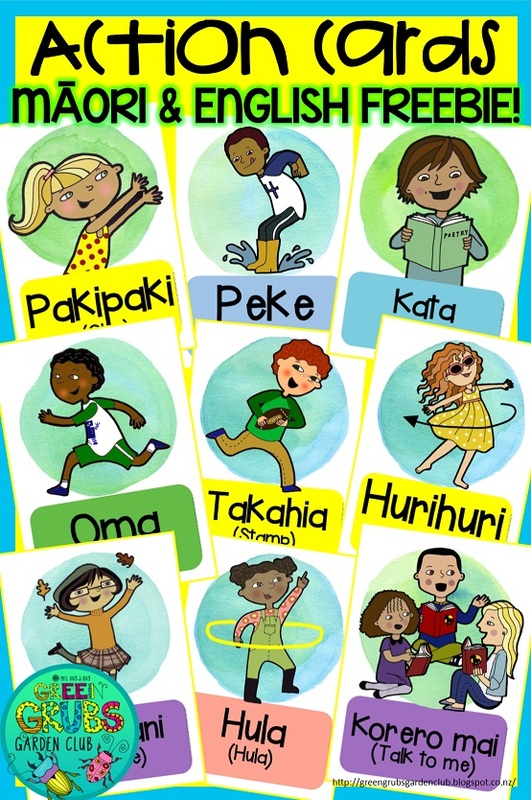 The cards include the Māori and English words for the action, plus a matching picture to scaffold all your little learners! If you’re creative (like my Mum) and think of an alternate action card you’d like included that’s not listed – please leave me a comment below or flick me an e-mail using the mail icon on my blog header and I’ll endeavor to include your verb. *EDIT JULY 2016 – as per request, I’ve now also included the following cards – enjoy! Click here to download your free ‘Pakipaki’ action card set!